Laboratory inspections with regards to animal testing are important to help monitor the practices of a specific company and its laboratory facilities. They also help to ensure that protocols are followed and animals are cared for in adequate facilities that safeguard their well-being throughout the experiment. The actual inspections will occur in two different ways. In the first, regular inspections occur by company-employed personnel who have standardised practices that keep facilities in clean, hygienic and safe working order. The second type of inspection is a government mediated one, where monitoring and compliance procedures are performed to check that the laboratory is following the laws and regulations of the specific country. Most westernised countries have monitoring of facilities although it is not a frequent occurrence. It is, in fact, sometimes the actions of animal welfare groups working 'undercover' with photographic and video recording equipment that captures the true state and operation of a laboratory. Animal technicians perform regular checks on animals to be sure that they are receiving appropriate care and that they are being looked after in accordance with the requirements of the project license granted by the Home Office. These technicians are usually well-trained and must pass exams to verify their knowledge of animal care and their ability to care for animals throughout an experiment. Because lab animals receive special foods and also require regular cleaning and sterilising of their cages, laboratory technicians must be qualified and competent to keep animals healthy and relatively pain-free to the best of their ability. The technicians are also a key point of contact for government hired inspectors who monitor that the animals are being properly cared for and that they are receiving adequate food, housing and cleaning. Technicians also ensure that animals are being handled as they should as well as detecting when they are in distress or pain. Inspections are also made to check that the laboratory is secure. This means that animal cages and other forms of housing must be secure and safe. They must not compromise the animal's health and should also be securely accessible only to those who are authorized to be in contact with the animals. This typically refers to animal technicians and researchers in the laboratory. Given the increase in threats to researchers and the sometimes aggressive public campaigns to ban animal testing, laboratories also need to be secure from outside interference. Some of the criticisms regarding laboratory inspections are aimed primarily at government inspectors. One argument is that the level of inspection is poor and biased, meaning that the inspectors are thought to be in support of animal research, thereby rendering their objectivity useless. 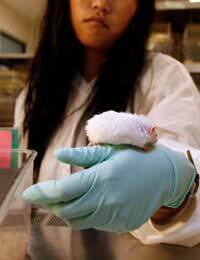 There are also concerns that some of the inspectors were formerly working in the research sector and thus, mediating or supporting animal testing. The calls for independently led laboratory inspections by less biased inspectors is a loud one but the debate will likely continue regarding the objectivity and effectiveness of government laboratory inspections. Laboratory inspections are clearly important, both internally and from an external assessor. To be completely successful, however, they must be performed by an inspector who is as objective as possible and who also has an attention to detail coupled with care for animal well-being. Laboratory inspections are aimed at ensuring laboratory compliance and animal safety, which benefits us all in the end because it helps to provide reliable data from animals and improve medicine and knowledge.